Trio-Art Music deals with engraving and publishing since 1992. 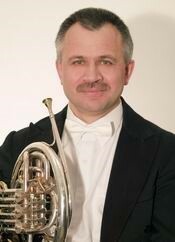 Dezso Czentnar is a hornist and he has been a member of the Hungarian State Opera for 30 years. He is working as hornteacher, music engraver and publisher at the moment. If you would like to know more about our scores, please join the website of Trio-Art Music!